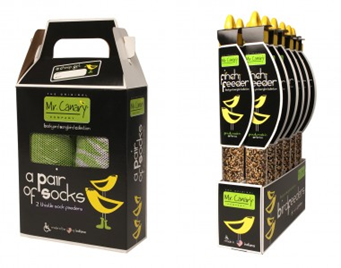 Carey Services and the Mr. Canary bird feeders produced in the agency’s production facility recently were featured on an Indianapolis television news segment. WRTV (Channel 6 in the Indianapolis area) produced the feature as part of the station’s “Made in Indiana” series. Station anchor Beth Vaughn interviewed Mr. Canary founders Jan Long and Christina Mowery, Carey Services President and Chief Executive Office Jim Allbaugh and several Carey Services production workers for the segment. You can view the segment on the WRTV website here.